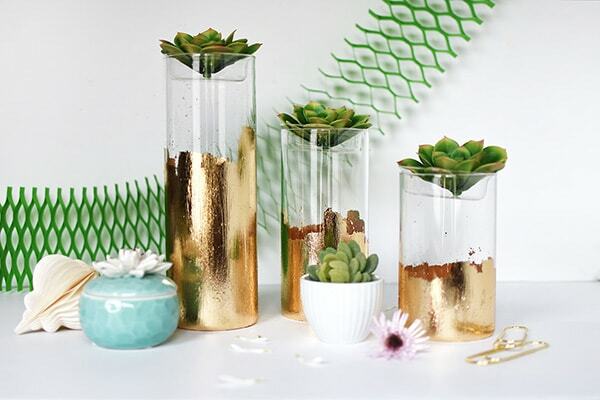 INSIDE : Learn how to make a gorgeous DIY Gold Foil Vase for holding succuelnts, flowers or any of your favorite collectible items! I am really a gold foil fanatic. 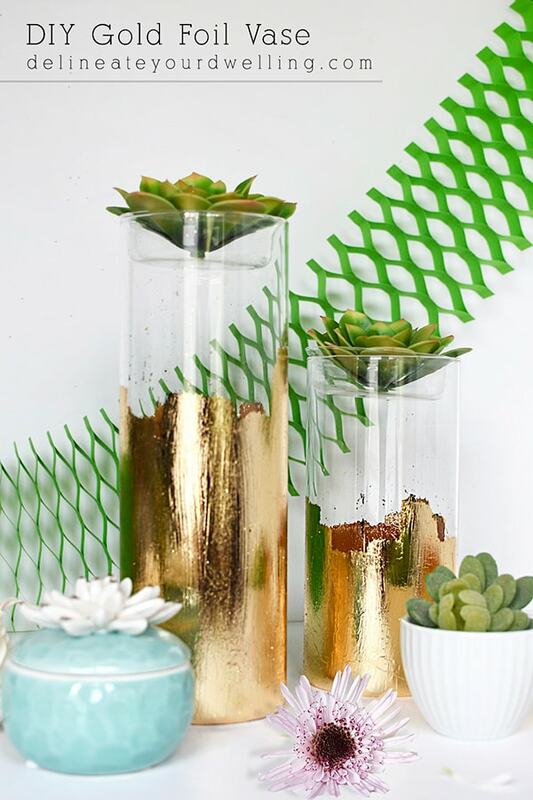 I have done over eight projects using gold foil. There is something purely magical about it. 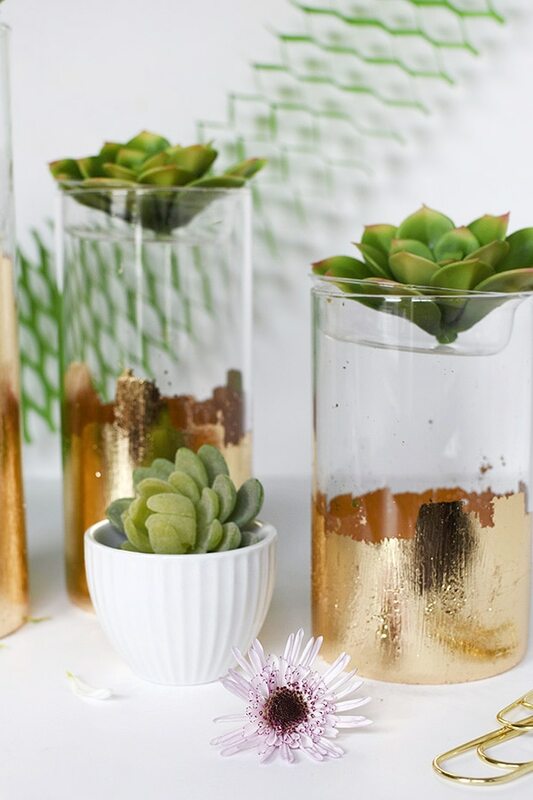 So as you can imagine, when I paired succulents, glass vases and a little bit of gold foil together it immediately added the perfect complement to any table or home decor! 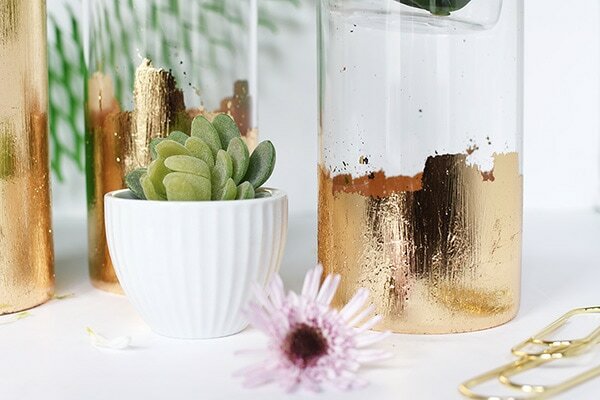 Today, I am sharing how to make this awesome DIY Gold Foil Vase. 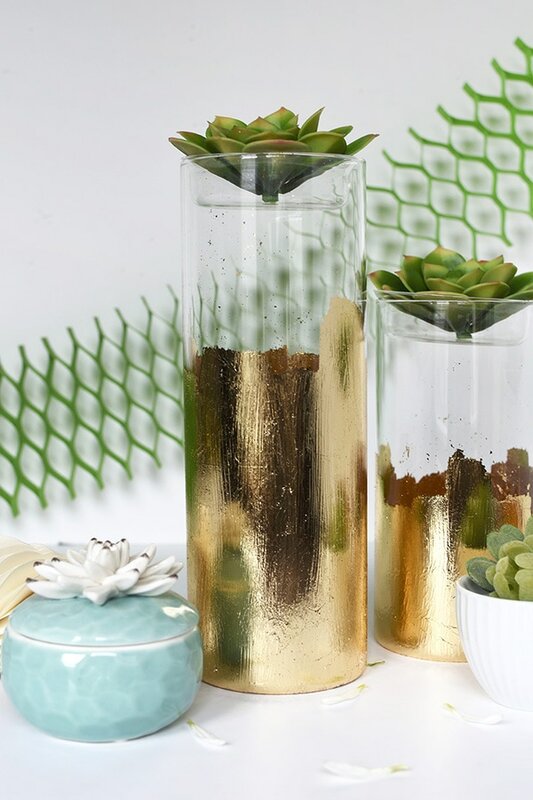 I loved mimicking the different heights of Oriental Trading’s glass votive holders with different heights of gold foil. It gives such a stunning look to the project. Instead of using these votive holder’s for tea light candles as they were intended, I opted to use them as planters. They would be perfect for air plants due to their narrow depth. 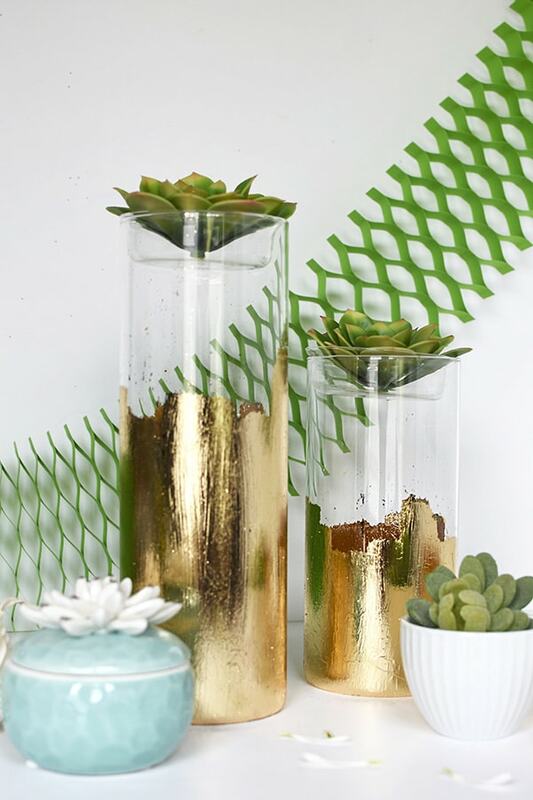 These gorgeous faux succulents from Oriental Trading were awesome. Please be sure to head over to Oriental Trading’s FUN365 blog to see my full supply list…. 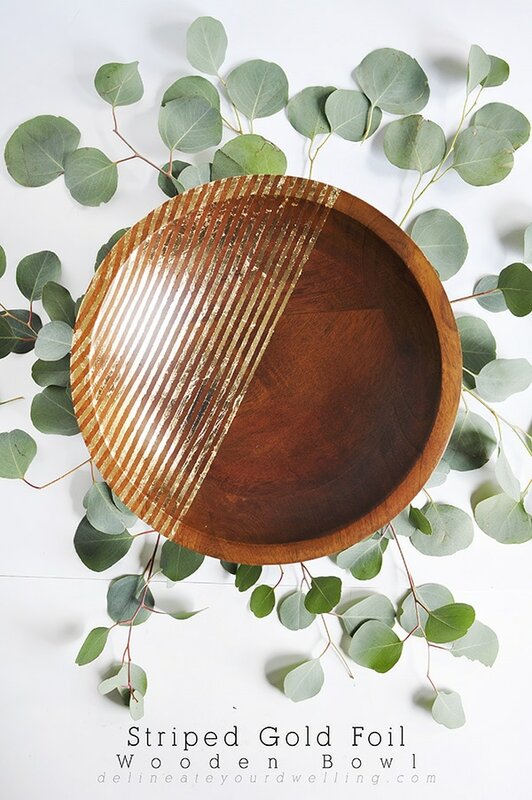 this is a fun fun project! 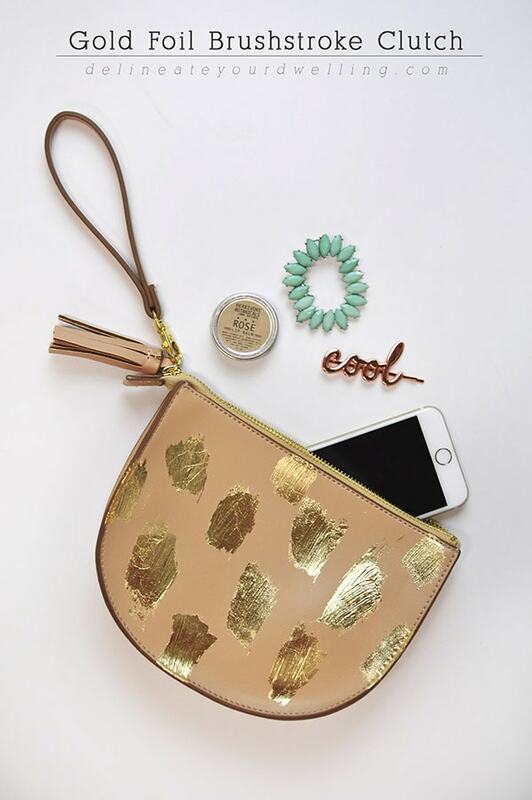 The shimmer and sparkle of gold foil is just like no other metallic paint. If you’ve not used it before, then it is definitely worth giving a try! 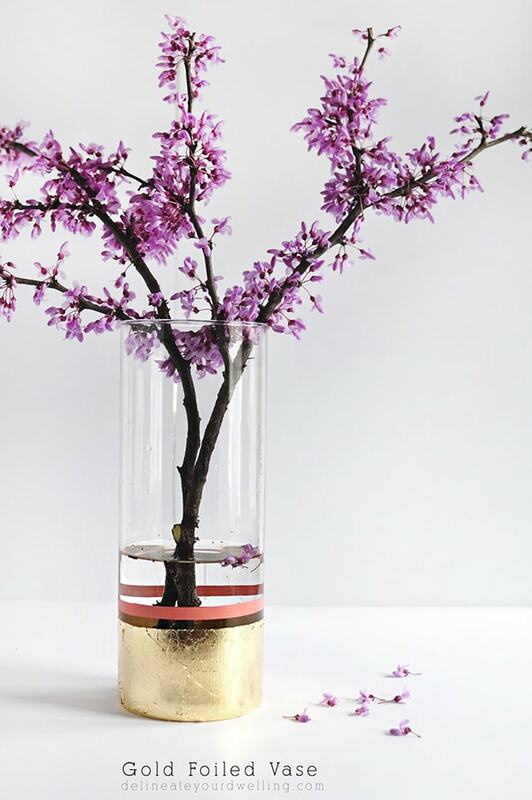 To see the full step by step tutorial for this gorgeous vase, head to Oriental Trading’s FUN365 blog. 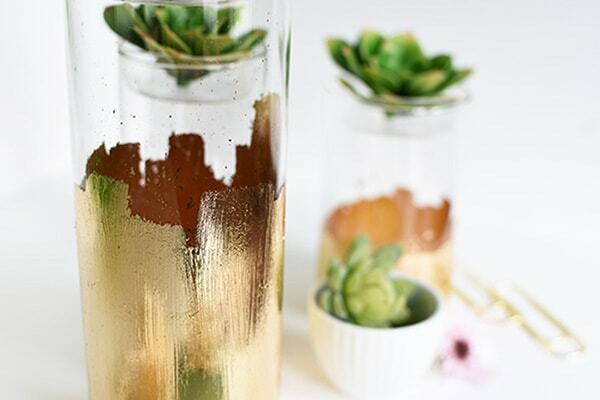 Interested in some of my other GOLD FOIL craft projects? They are some of my favorite. These are amazing love the gold foil.